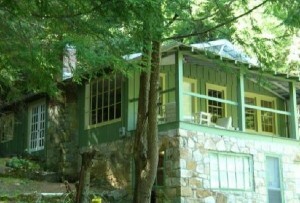 Waterfall Country Cottages is a family owned and operated company. We are not property managers, we own our homes. We have been in the vacation rental industry for 14 years in Hendersonville and Brevard, North Carolina. We strive to provide quality properties with all the amenities you are looking for at a modest price point. Our region of Western North Carolina offers spectacular year-round scenery and outdoor adventures like hiking, kayaking, mountain biking, road cycling and trout fishing. Our small towns of Hendersonville and Brevard boast many chef-owned restaurants, quaint shops, festivals and street dances. The best part of your day will always be coming back to your welcoming home to a crackling fire in the evening or a soak in your hot tub. Sandra, the owner, as well all Waterfall Country staff live in the area and are available to assist you in any way we can at any time during your stay. Welcome to the mountains of Western North Carolina!